It’s not that I don’t like canids. I adore them. 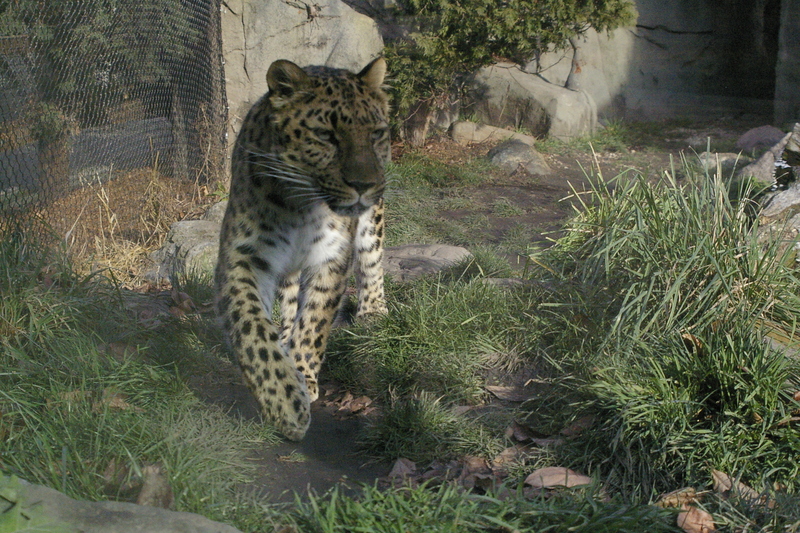 But I write a lot about cats because we decided our first series featured Siberian tiger shifters, so I’ve spent the last five and a half years researching big cats. That, and the zoo has a world-class wolf habitat that is large and allows the wolves to roam. We live with three cats and a dog, but what the dog lacks in numbers she makes up for in size and personality. 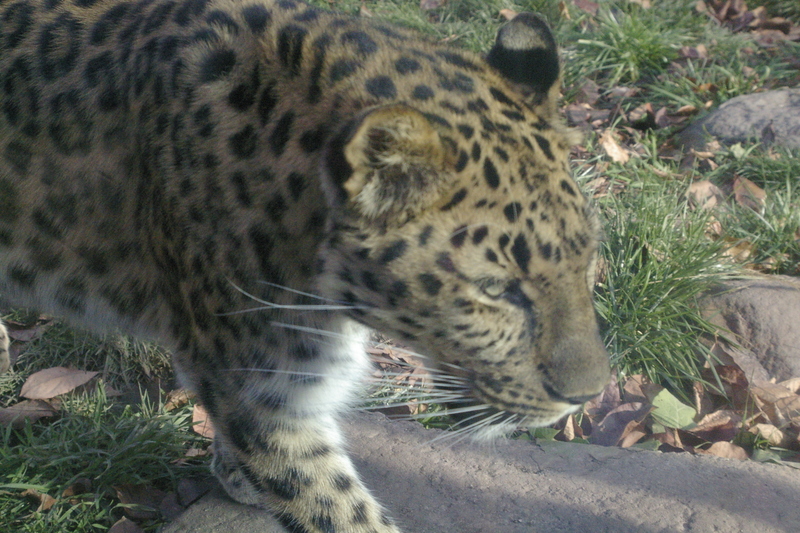 That leaves the zoo for me to study large cats. 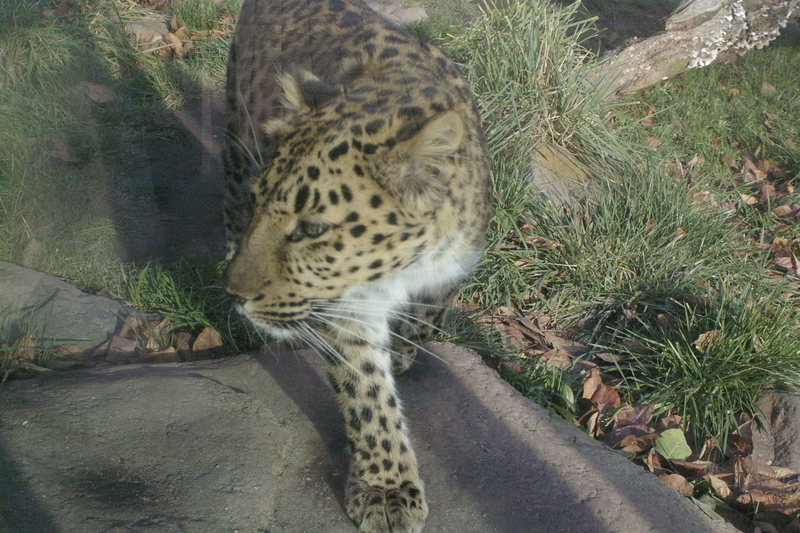 This lovely boy is the Amur leopard. I must have stood there for ten minutes as he paced back and forth, always missing him when he was coming straight at me and getting his side or his back. The shot at the top is when he paused suddenly, turned, and looked right at my husband. 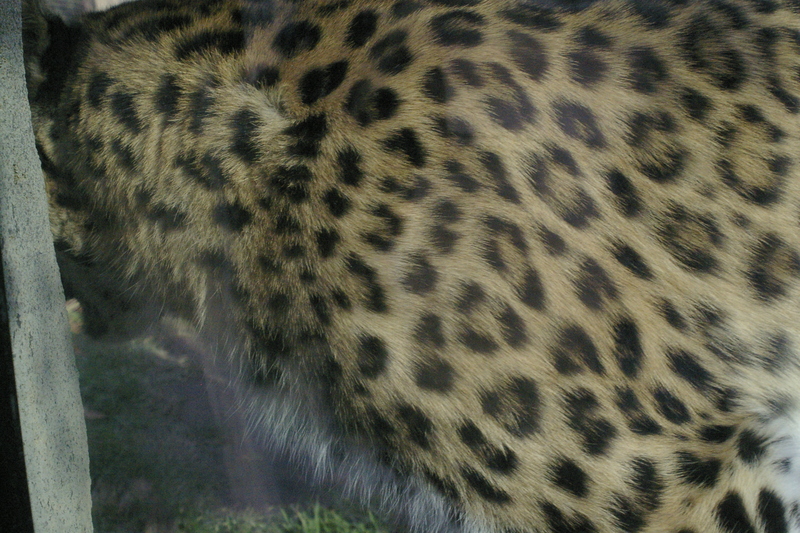 I only had time to snap the one shot; when I backed up to get both of them, the leopard moved again. Like I said above, take it off auto-focus. While I stood there, frantically pushing down on the shutter, the camera stuttered back and forth as it tried to focus. He was only four feet from me! Never use a flash. It’s rude. How would you feel if some jackass came up and flashed lights at you? It also won’t work if you’re in front of glass. You’ll just get a very good picture of the jackass taking the shot in the reflection created on the glass. And you’ll annoy the animals – and the people around you. Talk to the subject. Be friendly. You’re more likely to get some interaction, even if they don’t look right at you – and a lot of times, they won’t, because it’s seen as a challenge. Hold your body steady and exhale. Squeeze the shutter at the end of your exhale so you have the steadiest shot you can. What about you, Dear Reader? What are your favorite zoo photograph techniques? I was so close! I just couldn’t get him coming straight at me; my camera went into conniptions. But it felt like he was close enough to touch. Of course, the glass is like five inches thick. And there’s mesh over the TOP of his enclosure. Yeah. Here, Kitty, Kitty. NOT. Look at that muzzle. This is a big son of a buck. He heard something; we weren’t sure if it was my husband or a passerby, but he paused and looked right out the glass. I love how his closest ear is pointing right at me. He’s looking at me, Ray.